It’s never easy to share details of your private life with your parents. Maybe you are afraid they won’t accept your choice, or ruin your fragile happiness with their mindless remarks, or maybe you have just no idea about their possible reaction and prefer to keep your secret to yourself. For any occasion, here are our top tips on how to tell your parents you have a boyfriend. The following tips are based on the simple principles of mutual respect, desire to listen and cooperation. Your happiness is your parents’ goal as well, so try to stay cool even in such a complex situation. Think for a while about whom to approach first – your mom or your dad, depending on how close you are to them. Probably, it would be even better to ask your sister or brother to help you, so that the whole task won’t be too intimidating. Nothing can be worse than ruining your big news with improper timing. 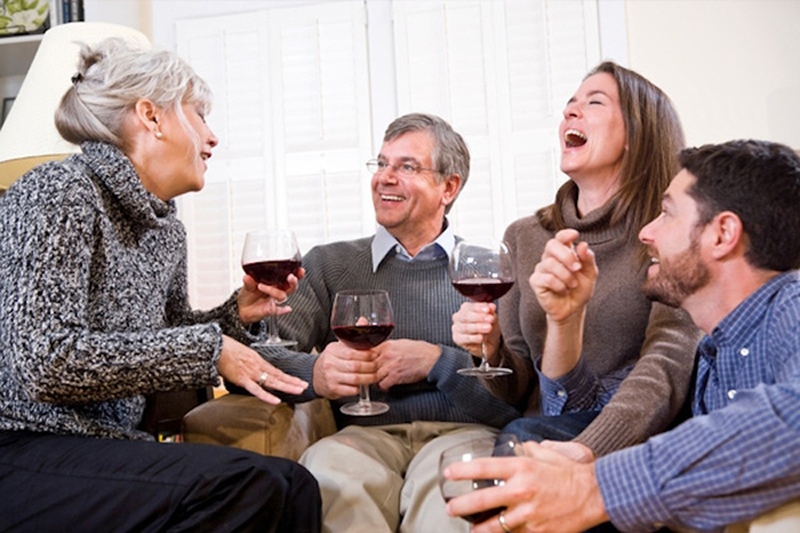 Letting them know right after they are back from work may be not a good decision, but waiting till the dinner when you are all at the same table, cheerful and relaxed, is perfect. In case you anticipate any objections, come up with proper arguments and rehearse them. Don’t make them leave you speechless or embarrassed; it’s better to arrive at this delicate conversation all geared up. Your parents will definitely like getting more background information about your boyfriend, so give them as much as possible, including his age, education, profession (if applicable), his parents’ occupations and helpful details about his personality. It’s really great you have found the courage to break such important news to your parents. Now that you make this fact clear, don’t start to defend yourself against their possible reactions – you have nothing to hide, and they should appreciate this. If you see that you’re losing the battle for your right to date your boyfriend, don’t attack them back. Instead, let them calm down and return to the conversation later, possibly with the help of your chosen ally. If you are looking for the way of how to tell your parents you have a boyfriend, play on their sense of importance and control. Make it clear that you regard their opinions as very important, and this is the reason you think it’s necessary to talk about this subject. If your parents need more time to comprehend, go for it. After a while they will notice that nothing has changed about your behavior or attitude towards them, and they will be more likely to accept the fact you are with someone. Mention all the reliable people who may know your boyfriend, and bring in some sort of testimonials that you have heard from teachers or other people in position to judge his personal and professional qualities. Whatever resolution your parents come up with, it’s important not to do anything to provoke their anger or other negative feelings, as it won’t help you deserve their approval altogether. If your parents are still hesitant, suggest them to see you together with their own eyes and judge accordingly. For example, you can negotiate inviting him to dinner at your place next time. This is also possible. The fact you started dating someone makes your parents disagree, either because you are too young, or because they are upset with your choice. In either case, this is how you can figure out how to tell your parents you have a boyfriend without any sad consequences for your relationships with them. It’s a difficult mission to raise a child, making sure that her every choice is correct. Put yourself in their role for a bit and try to see the situation in their eyes. During the conversation, show you are actually on their side and don’t disagree with their arguments. If you know why they disapprove of your affair, it would be much easier for you to tackle this problem. Tell them you can accept the truth, and make your conversation confessional rather than inquisitive. Explain to them that your view of relationships between a man and a woman is based on their own pattern, which you perceive as the absolute. This will make them realize they should look for the key to this situation not just in you. Don’t be upfront. It takes time and skills to work out your alternative strategy, but in the end your careful tactics should work better than immediate actions. You can always ask them to imagine them in your shoes, and emphasize really reasonable points about why, above all other things, you deserve not to be alone any longer. If nothing else works and you don’t know how to tell your parents you have a boyfriend without feeling that you can’t handle the situation alone, ask kindly your teachers or even his parents to assist you with this. Your parents are more likely to listen to older and more experienced people who have no hidden interest.